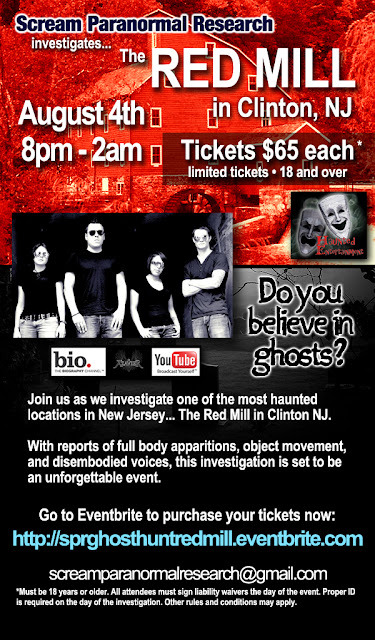 We are getting very close to the Red Mill investigation in Clinton, NJ on Saturday, August 4th. Investigation is from 8pm - 2am. 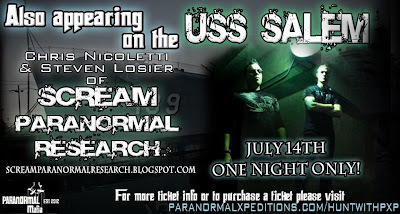 If you are interested in investigating and meeting the team, NOW is the time to purchase tickets. 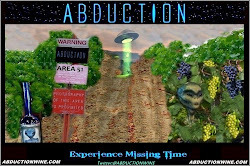 Beginners and experienced investigators are both welcome. Only $65 per person. 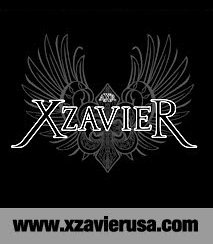 Group discounts available upon request. Must be 18 years or older to attend. Liability waiver will need to be signed at the time of the event. 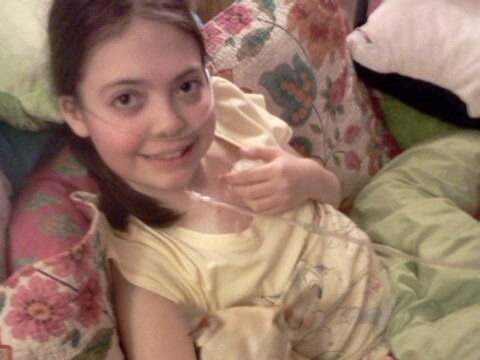 We will encounter the little girl that haunts the mill? Will we record the typewriter or bell being rung on audio? This location has numerous reports of multiple spirits that supposedly still reside there. With being situated on nine acres, we will need some help for this one. However, tickets will be limited. The event went great! I think we may have some great findings from that night that we will share when we can. 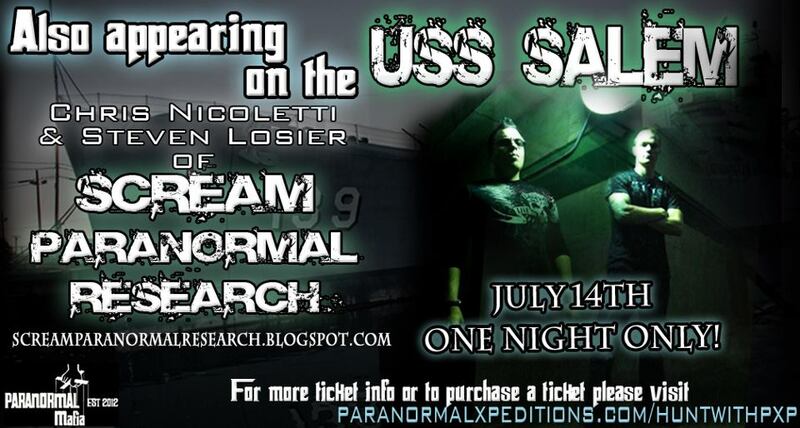 This Saturday night join us as we investigate a heavy cruiser in Quincy, MA. 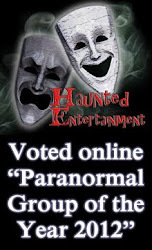 Joining our good friends of the Paranormal Mafia!